I'm most excited about the Joovy Balloon stroller. My son and his wife are expecting my first grandchild in June and they will need one. It's an expensive item so it would be fantastic to win it. I'm excited about the Lansinoh breast pumping supplies! 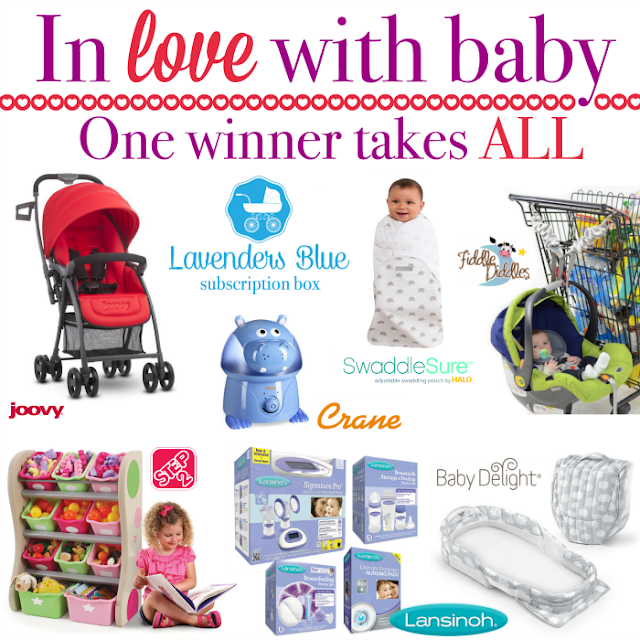 Would absolutely be grateful to just win the stroller as our 4 month old does not have one! Would absolutely be grateful to win just the stroller as my wife's and my 4 month old does not have one! I would love the stroller! I'm most excited about the Joovy Balloon stroller. I'm excited about the storage unit and Co-sleeper thing from Baby Delight.